This all natural, unscented soap is perfect for everyone - whether you're fragrance sensitive, or prefer a soap that won't compete with your perfume or cologne. Tons of creamy, cocoa butter-enriched lather leaves you with soft, silky skin. Made with olive oil, coconut oil, palm oil, cocoa butter, and castor oil. Fragrance free. 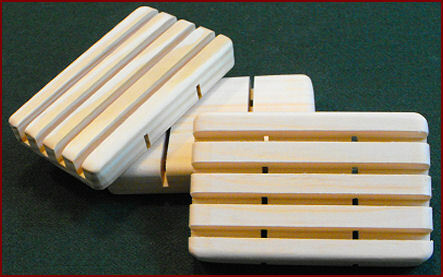 A soap deck is a great way to store your handmade soap.